We’ve been getting a lot of Iron Man 3 marketing materials the past few weeks, including the new TV spot from the Super Bowl, as well as a poster showing a screaming Tony Stark. Today, we finally get a good look at one other character we’ve all been waiting to see: James Rhodes. 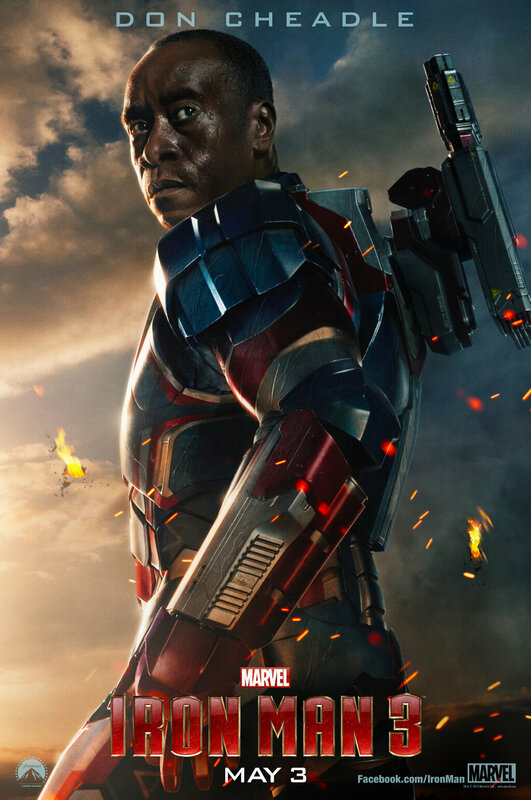 As you can tell from the picture below, War Machine is now rocking the red, white, and blue of the Iron Patriot. It’ll be interesting to see how this storyline factors into the film. 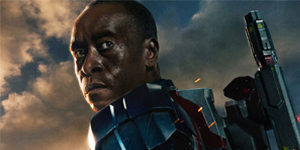 One thing is certain, the smoldering debris behind him furthers the idea that this film will be all about destruction, for both Iron Man and those around him.